The original company Al Langman Construction was established in 1972. The company began as a residential and insurance repair company and worked as such until 1983. In 1983 the company became Al Langman Construction Limited and performed construction under this name until 1998. Al Langman Construction was incorporated in 1998. 2006 – Timothy Allen Porter became the sole director & President/Secretary/Treasurer of Al Langman Construction (1998) Inc.
From our head office at 3 Progress Drive, Unit #5, Orillia and our satellite location in London – 60 Meg Drive, London Ontario, Al Langman Construction (1998) Inc. is successful in the delivery of projects in many different environments. We have maintained a position on various Ministry Rosters including ORC, SNC-Lavalin, CBRE, MHPM and BLJC. Well known and well respected, Al Langman Construction (1998) Inc. is able to successfully perform all aspects of construction. Al Langman Construction (1998) Inc. consistently executes institutional, commercial and industrial projects with excellent workmanship which results in project completion on schedule and within budget. With over 100 years combined experience, our estimating department provides accurate take-offs for any size project. Our project managers lead our youthful and energetic team to work co-operatively with architects, engineers and consultants to consistently meet the needs of our client. Our highly motivated staff provides the highest quality construction. Projects are completed during regular business hours or after hours in occupied spaces to best accommodate the needs of the client. 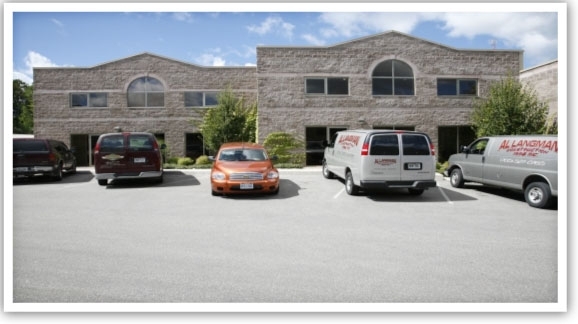 Our main headquarters is located at 3 Progress Park, Unit #5, Orillia. We designed and constructed this 25,000 sqft Block construction facility to meet our specific needs. It is comprised of 3,500 sqft. Office area complete with boardroom, plans room, reception area, private offices and estimators’ bullpen. Al Langman Construction (1998) Inc. is fully capable of designing and building custom millwork or furniture in our 4,500 sq. ft. woodworking shop. Large deliveries are accepted at our loading dock and warehoused on site. ALC also built the Stonegate Inn, a 48,000 sqft building with many upgraded features including high end finishes, a swimming pool and an elevator. Al Langman Construction (1998) Inc. utilizes the latest in information technology. Sixteen workstations are configured in a network environment with laser and inkjet colour printers, wide format scanner and printer; fax/scanning machines, e-mail and high speed internet service. Constant communication is maintained via voicemail, text messaging, e-mail, paging and Blackberry cellular telephones. Laptop computers allow our on-site managers to access drawings, specifications, photos or project information whenever and wherever needed. The best resource Al Langman Construction (1998) Inc. can claim is a strong team of employees. ALC currently employs 44 fulltime employees. With a number of employees with varying backgrounds in the delivery of construction services Al Langman Construction is able to provide the best approach for project completion. Through the use of all personnel resources our Project Mangers interact and are able to analyze different approaches and have the flexibility to produce the best results on all projects. In 2009 a satellite office was opened in London Ontario, which extended the business strength to the southwestern region of Ontario. 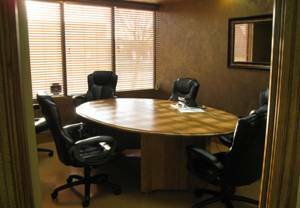 This office employs 3 full-time staff to administrate projects. Al Langman Construction (1998) Inc. takes pride in the fact that our employees are continually striving to broaden their range of skills and increase their knowledge to keep up with the rapidly changing and newly developed technologies in the construction industry. Courses in Health and Safety, Equipment Use, damage assessment and Abatement Technologies have been one key in the successful completion of projects. Having fully trained Abatement Technicians and maintaining a supply of Abatement materials allows Al Langman Construction (1998) Inc. the ability to respond quickly and safely to any demand for abatement services unforeseen at project start. Over the years Al Langman Construction (1998) Inc. has established lasting relationships with sub-trades all over Ontario. We contract the highest quality of sub trades. Their ability to consistently execute projects on time and with excellent workmanship results in project completion on schedule. Our full-time staff is accustomed to traveling and well prepared to work away from home. With a fleet of well maintained service vehicles, we are flexible and available 24/7 for emergency and after-hours service anywhere in Ontario. Any project we undertake is completed to the satisfaction of our client. Our reputation is built on quality work and integrity. We take great pride in the quality workmanship that we provide for our clients. Our Supervisors and Managers impress upon all workers the importance of maintaining our consistent high level of workmanship and the standards we hold that help us to achieve this level. We have developed a project methodology and plan of action and using these two standards assist our Project Managers in ensuring that all foreseeable delays are avoided and the projects run smoothly. To maintain our standards our supervisors are on site monitoring and ensuring the work is done to specifications throughout the entire project. Any issues or areas of concern are observed and dealt with in an expeditious and thorough manner. Sub trade work is inspected throughout the project using a quality control form and issues are addressed immediately. Upon completion each project has a final inspection and all deficiencies are attended to; to the satisfaction of all parties involved.